As the calendar rapidly approaches October, we are staring at two glorious months of fall fishing ahead. My favorite time of the year is when the leaves start to change. Fishing can be excellent as well as maddening. Excellent because the fish are all feeding heavily on the last bounty before the lean winter months. Maddening because there are plenty of days ahead where you will catch far more leaves than fish. 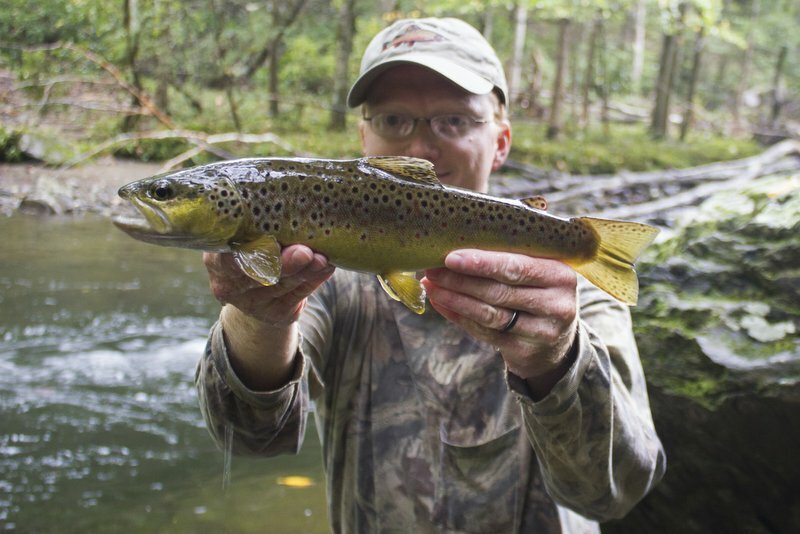 The brown trout and brook trout are already sporting their fall colors. If recent fishing tells us anything, it is that this will be a fall to remember. Fishing this summer has been some of the best I can remember in a long time in the Great Smoky Mountains. Good water levels, consistent rainfall, and the drought in 2016 created the perfect combination of conditions for excellent fishing. 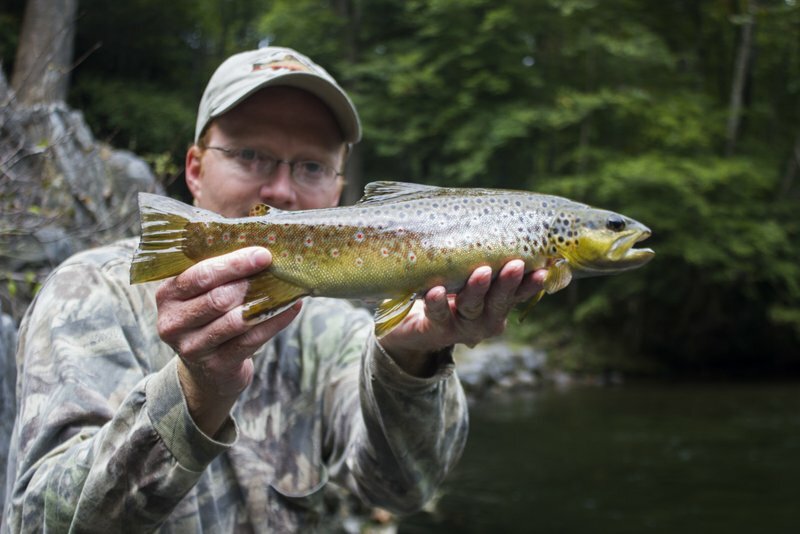 Brown trout have been more plentiful this year than in some years. It appears we are on the upswing in terms of numbers and size for brown trout on streams like Little River. That means this fall, winter and next spring will all be an excellent time to try for a better than average trout in the Smoky Mountains. Here are a few recent fish from the Smokies. 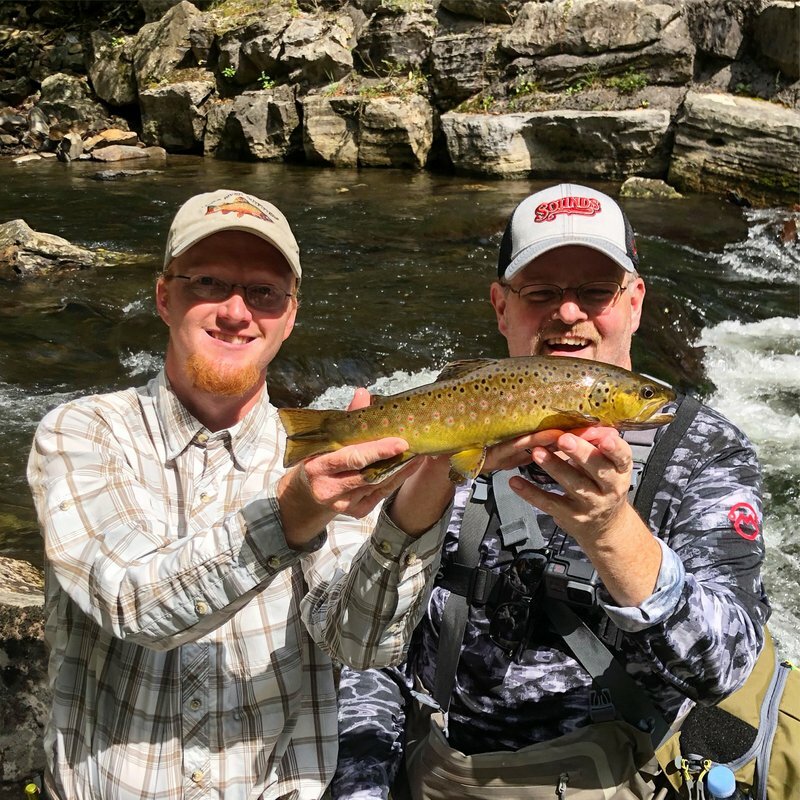 While fishing in the mountains has been incredible, the same wet conditions that have brought such good fishing there has caused difficulties on the tailwaters. Some rivers, like the Caney Fork, have been truly awful this year. A combination of high water and huge numbers of stripers throughout the river have conspired to severely impact the trout fishery this year. The Clinch is still fishing very well on high water, but wading anglers are not getting many opportunities. The fall and winter is an excellent time to fish for the large brown trout and rainbow trout that call this river home. 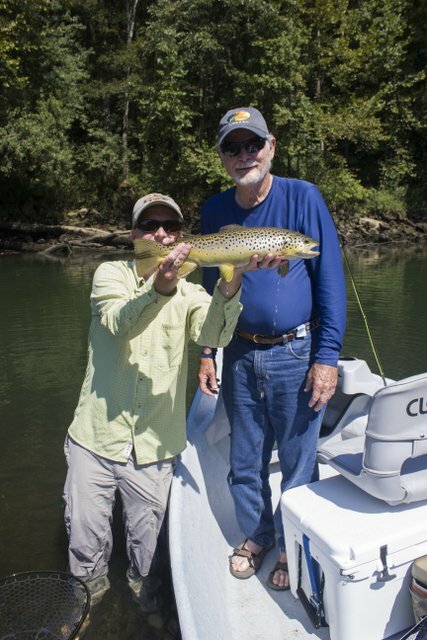 Despite the challenges on the Caney Fork River, quality brown trout still abound for anglers willing to put in the work to find them. Recent float and wade trips have been limited on numbers of fish, but chances at quality fish are there. Our last float resulted in a big brown trout for Fred on one of my secret midge patterns. Due to a late cancelation, I have a day available for someone wanting to fish in the Smokies on October 4. Otherwise, the only other days current available in October for Smoky Mountain trips are October 17, 18, and 29-31. Due to high water concerns through the month of October, I am NOT booking anymore Caney Fork trips until November. For trips with guide Travis Williams, please contact me or him directly for availability.